3 years on from ‘The Statement’ – How did that work out for you Robin? It has been a little more than 3 years since Robin Van Persie publicly announced to the world of football that he was heartless. Within 24 hours, the Premier League Golden Boot winner, which had Arsenal fans salivating to the idea of watching the indisputable evolution of the next Arsenal legend unfold before them, transformed into the most hated former gunner in recent history. The same man, whose hatrick against Chelsea in the previous year had me waking my roommate at 8:45 AM on a Saturday morning with my exuberant singing of “He scores when he wants”, had immediately became Benedict Arnold (no offense to any Brits). From there, we are all aware of the story. Judas (who RVP will be referenced as for the remainder of this post) gladly joined United because he wanted to win trophies and, by his own words, “listen to the little boy inside him”. Subsequently that little boy also wanted his allowance to be £200,000/week. Nevertheless, United and Judas both got their prize that is the Premier League title, along with umpteen plaudits from the media. Meanwhile the identified “selling club” that is Arsenal finished again with the highly-discussed “fourth place trophy” and serious skepticism as to whether the club was in the midst of rebuilding or stagnantly regressing. Fast forward to June 29, 2015. The “selling club” that is fresh from successfully defending its F.A. Cup crown has now signed its third world class player in as many years and, in a complete 180, is now considered by many in the media as the club to legitimately challenge for the league in the upcoming campaign. As for Judas? He is again on the back-pages, rumoured to be departing Old Trafford to the highly ambitious retirement home that is the Turkish Super Lig. While I may be a bit harsh on Fenerbache, it is quite remarkable watching his demise develop so quickly in Manchester. However the story’s true irony is hidden within the stats. Since Arsenal sold Judas in August of 2012, the club’s goals for in the following three seasons after his departure are as follows: 72 (12/13), 68 (13/14), 71 (14/15) which totals to 211. Conversely, United’s goals tally over the same period of time is 212. And while United did win their league title largely because of Judas, it is fair to suggest that the £24 million received by Arsenal may have been the best financial business Arsene Wenger and Ivan Gazidis have completed in their combined tenure at the club. Why? Two words- Olivier Giroud. Before half of you angrily scroll to the comment section telling me, “I don’t know **** all about football”, I invite you to read this statistic. Since Giroud’s arrival to, in Wenger’s admittance, replace Judas, our French talisman has netted 58 goals, winning two trophies whilst our former captain has scored 57 goals, winning 1 trophy. It’s also important to remember that the other half of money gained from the sale was invested in Podolski, who himself tallied 31 goals. Now I do completely understand that a fit Judas two seasons ago was a world-class striker, something Giroud will most likely never amount to. But given his age and injury list, selling the Dutchman for £24 million was an incredible profit. Statistics aside, it really is ironic what Judas wrote that Independence Day (sorry again, Brits for the American patriotism) three years ago. “I disagree on the way Arsenal FC should move forward”. I understand his frustrations from the previous seven, trophy-less seasons he had endured; watching his best teammates being sold as if they were up for auction. But surely Wenger, Gazidis, and Kroenke (even Vic Akers!) had informed him of the plans for what the not-too-distant future included. And although Manchester was the immediate answer for winning, claiming the direction of Arsenal Football Club was not positive is pure arrogance and stubborn pomposity. But thankfully gooners, the last laugh resides with Arsenal. While we are debating amongst who should be in the starting eleven between Cazorla, Wilshere, Ramsey (the guy RVP suggested was not good enough,) Ozil, and Oxlade-Chamberlain, Judas will be wondering why Nani is constantly over-hitting crosses. If only the little boy hadn’t been quite so greedy Robin! Currently a student studying Broadcast Journalism in America who's crossing the pond this fall to study at Oxford. I've done some pretty stupid things for Arsenal, including breaking my computer after watching an online stream of Bradford beat us in penalties in the League Cup. Still haven't missed a match for 5 years. Basically a yank who loves football more than hand-egg. Aspirations of being a sports journalist. The Top 10 of Arsenal Hidden Gems, Part 2 – Matches you will be pleased to be reminded of! All the reasons why Arteta should NOT get his 1 Year Extension. 15 Responses to 3 years on from ‘The Statement’ – How did that work out for you Robin? Let’s be honest, winning the league was worth his move alone, his subsequent demise and UTD struggling for a couple of season was down to Ferguson retiring. Make no mistake about it UTD will spend big again and be right up there challenging for the league. Haha … “our French talisman has netted 58 goals, winning two trophies whilst our former captain has scored 57 goals, winning 1 trophy”, Ask yourself, would Wenger / all Arsenal fans swap 5 FA cups with 1 premier league title right now? No I doubt it but that is looking into past. I assume he would not swap his squad and form now for yours for for 15/16 either. Just banter matey. Let me ask you this: would you rather bet on Arsenal or United to win the league this season? That’s my point with comparing giroud to rvp. Ad I mentioned rvp was world class but I would take giroud now to be honest. Thanks for the read! Bill I think we maybe only have one more incoming as it goes but Cech is huge for us. What is occurring with De Gea? Well, we are trying to play hard ball with RM for a fair market price/Ramos deal but he looks all but certain to be gone. Back at training on Monday at least. Id rather lose him for free next year then lose him on a bad deal. Bench him until he signs a new contract and then look to renegotiate next year from a position of power. This little boy he was listening to? Given this, he could have been an Arsenal legend. If we had his goals in 12/13 Man U wouldn’t have won the title and we probably would have. However, now seen as a true Judas, leaving the team whose shirt he wore as a boy. Good points, a big ‘probably’ in there but I cant argue that he is a Judas. We all saw the tween RVP in the gunners kit. I think AFC will be genie title contenders in the upcoming season. 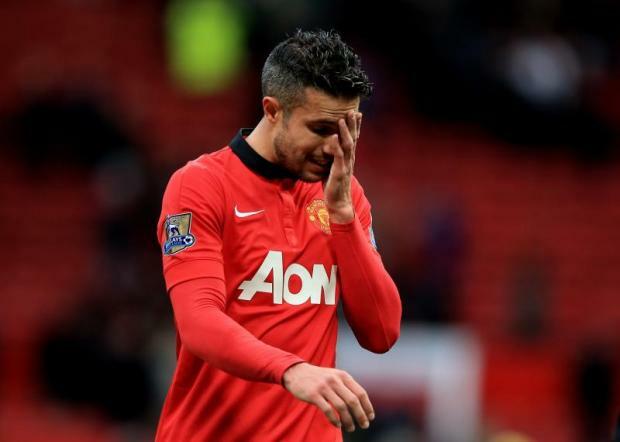 Conversely, if RVP leaves for Fenerbache he will almost immediately fade from football existence. I think Ryan’s blog more a dig at RVP himself and the current trends at each club. Not arguing with the United era until 2 years ago but ambition as Fergie knew is building a team not throwing cash at any old has been or indeed unproven kid. I have huge respect for your club but right now looking forward I am content. Are you? When writing about RVP it is essential to explain to others, notably United fans, the background to our reaction and animosity with his behaviour and departure. In simple terms this man was a standing joke with a large section of the fan base due to his string of injuries…. the exact figures are ridiculous and we found it hard to understand why on earth Arsene continued to stick by him. When, eventually, the player “came good” and showed the potential Arsene had seen this same player chose to pay back all the years of waiting and loyalty shown by his manager by not only walking out on the club but more importantly criticising the clubs ambitions. So this is not simply a case of sour grapes or jealousy about his success in Manchester but a case of anger at a man showing not an sign of loyalty to a great manager and the clubs fans. So Robin we don’t wish you any luck in the future and the strength of feeling against you is justified. That volley against Charlton ?! ?